Did you know that there is a very quick and simple way to add or remove permanent creases in your ironing. Simply mix 1/3 of a cup of vinegar to 2/3 of a cup of water. Using a spray bottle dampen the fabric in the area that you require the permanent crease or to remove a crease. Cover with some brown paper or similar and iron. The vinegar applied liberally to the crease followed by ironing with a warm iron got rid of the creases in my 'stretch' slacks. Thanks. Thanks so much for that tip--I bought a pair of nice synthetic dress pants for work, but since I bought them off the $2 rack at a consignment store, they were "almost" perfect. They were a little too short--so I clipped the stitches that held the cuff in place, turned the cuff down, and ironed the crease with the vinegar/water solution. Now I have a perfect pair of pants! I followed the exact directions on the label for 4 sweaters I own, all made with the same material (purchased from different places). The sweaters are made of 80% Rayon, 17% Nylon and 3% Spandex. I washed inside out in the delicate cycle with Woolite. Directions say to "machine wash cold with like colors. Gentle cycle. Lay flat to dry. Warm iron if needed. Do not tumble dry." I followed theses instructions to the letter and removed these from the washing machine immediately after the cycle ended to lay flat to dry. 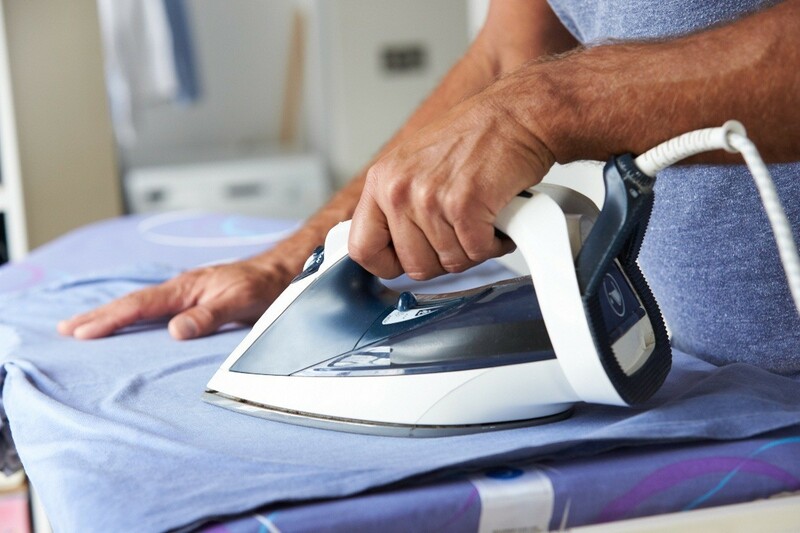 Although not all washed together, all four garments have come out with permanent wrinkle marks that can not be ironed out or tumbled dried out (I used one as a test in the dryer). It is almost like the wrinkle marks are "stained" into the fabric for good. Help! I have 2 others like it that I am afraid to wash because of this. I am hoping you can help me save those and the other 4 that are seemingly ruined. Any advice? I have a chiffon dress that I was battling with trying to get the wrinkles out of and I sprayed it with vinegar and it ironed out smooth as you please. Thank you. You are a GENIUS! !